1.It’s better for you than sugary or salty snacks – It is so easy to reach for chocolate bars and crisps when you are hungry around 11am – right before lunch – but this is really bad for your energy levels. Although these snacks will give you a quick boost, in the long run your sugar levels will plunge again, making you feel unfulfilled and extra tired. Fruit sustains your hunger and energy levels for much longer. 2.It can boost your immune system – It’s no secret that fruits are good for you, because they are packed with vitamins. Healthline tells us “Because your body doesn’t produce or store it, you need daily vitamin C for continued health. Almost all citrus fruits are high in vitamin C.” This might include oranges, grapefruit or satsumas. Over time, you may find you are suffering far less with colds or flu as well as tummy bugs. Your body can fight these germs off much better now you are eating all that fruit! 3.It can be a talking point – If you have a basket of fruit in your office, more people are likely to notice it and talk to you about it. Unusual fruit, like exotic fruits, are also a talking point. People want to know what you are eating and try new and unique things. 4.You can learn about seasonal fruit – You can begin to learn what is in and out of season by eating fruit regularly. You can shop locally and support British strawberry and fruit farms. 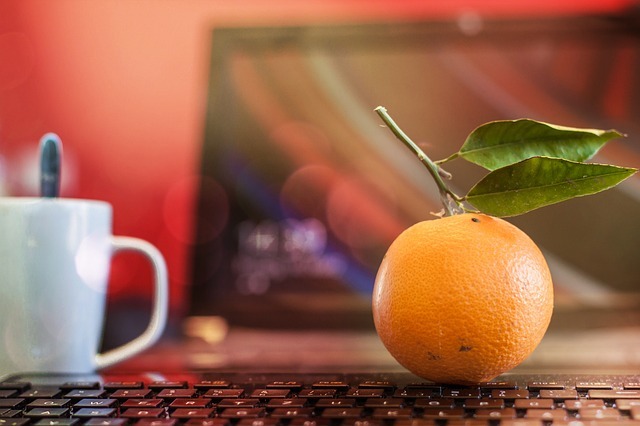 5.It can help you work more productively – Fruitful Office, a company that delivers office fruit baskets around Dublin, conducted a study that said people felt like they worked more productively after the introduction of fruit in the workplace. Your brain can stay engaged for longer and your concentration levels remain high throughout the day. There really is a lot of benefit to investing in fruit baskets, which allow the whole workforce to consume fruit throughout the day! 6.You can feel the benefits quickly – A banana can instantly stop those hunger pangs. You don’t have to wait for anything to kick in – like with a cup of coffee. Supported with a good, healthy diet and plenty of water, you can feel the benefits of fruit as soon as you decide to start consuming it more often. 7.It’s better for the environment – There’s no packaging or plastic to worry about with fruit. Simply chuck your orange peels or banana skin in the compost! It is good for the environment and many fruit delivery companies also are careful with the sustainability of their baskets, too. 8.You can get creative – Fruit can be put into smoothies, adding a real enjoyable and interesting twist to your working day. For instance, combine a little orange juice with spinach, apple, a squeeze of lime and pineapple for a real fruity and iron-fuelled kick – this is great for maintaining alertness. 9.It’s cheap – Fruit doesn’t cost a lot and you can even grow it yourself at home! It is easy to grow fruits like strawberries in the summer – even if you don’t have a garden. You can grow tomatoes on your windowsill. As long as you let them have some sunshine and water, it can be easy to grow your own fruits and it is really rewarding, too. Many people turn this into a hobby outside of work. 10.It can encourage others around you to eat fruit, too – The more others see you eat fruit, the more likely they are to feel inclined to eat fruit too. It has a really positive, knock on effect on those around you.